38-40 ammo is a very interesting round that is quite unique. Typically, rounds from the western-era were named for their caliber, and then the amount of propellant used. For example the 45-70 is a 45 caliber projectile, with 70 grains of propellant. 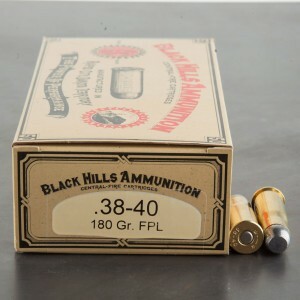 The 38-40 is actually a 40 caliber cartridge (.401 to be exact) with 40 grains of propellant. So the 38-40 should have been known as the 40-40. Reasons behind this odd name have been lost to history.